The Genetic Literacy Project, a great source of information about genetics and biotechnology from plants to humans, has made infographics based on the preliminary data from GENERA. 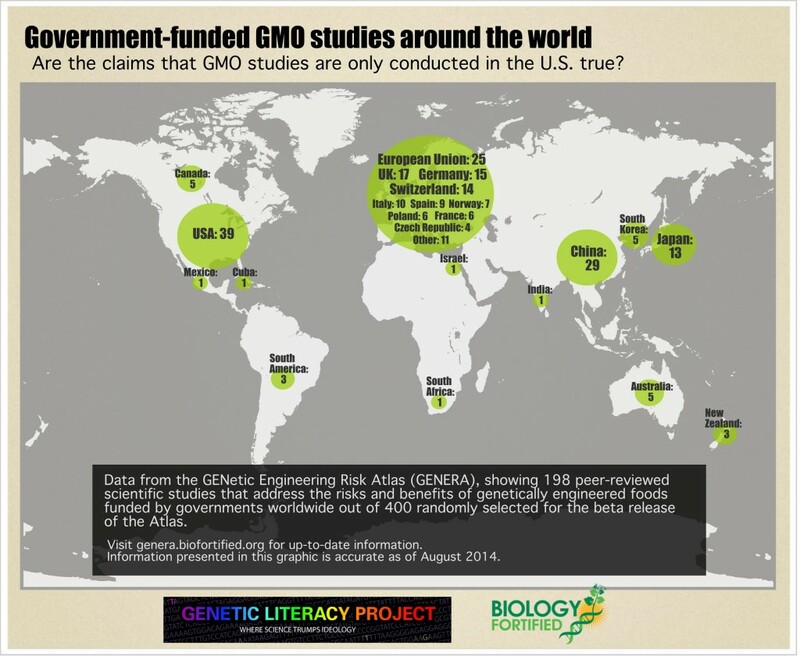 They wanted to answer the question: Where is the government-funded research happening, and are GMOs safe? 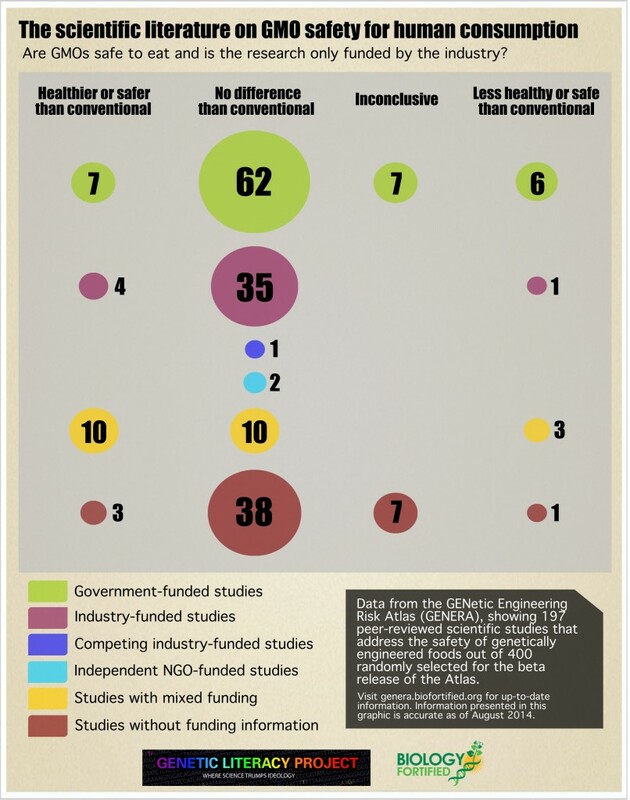 (And does the funding source for the study matter for the conclusion?) Take a look at these and see! Feel free to share them with people, print them out, etc. The PDF files have links to help people find each site.